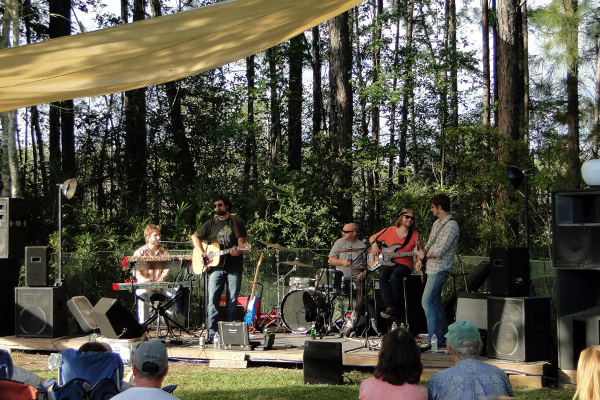 Another Lowcountry Blueberry Jam concert, with wild-harvested local seafood, your chance to beat this year's record of 32' in the Blueberry Toss, and a chance to kick back and enjoy a Sunday afternoon. More details soon. Seasons are changing, and it is time to check your colony health, prune for next year's fruit, and get yourself ready for your own beekeeping practice or just to learn more about honey bees. All our workshops are hands on, with Blue Pearl Farms beekeepers and farmers showing you how we get the best quality from our bees and bushes. Schedule and register here. Want to start your own blueberry patch or get more, sweeter, and larger fruit on your own blueberry bushes? 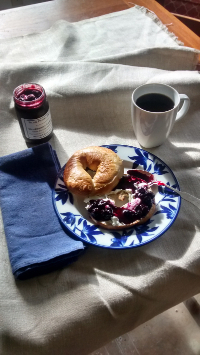 Blueberry keeping and managing secrets available Sunday, August 30, at the Blueberry Keeping Workshop at the Pearl, 2-5 pm. If you or your family want to learn more about honey bees and how to keep them healthy and happy, explore A Honey Bee's World: What Bees and Beekeepers Do with us. 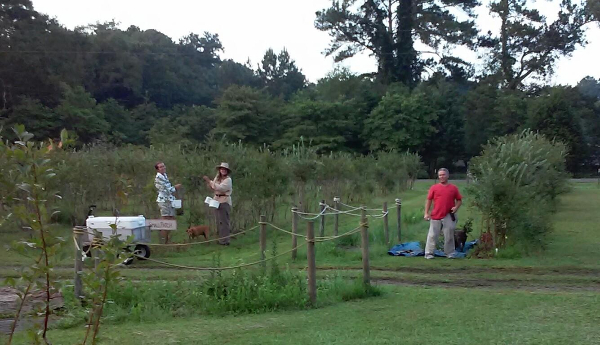 Inspect our living observation hive, put together a hive box, and taste the lowcountry through the honey of our bees. Prepare your bees for fall and winter, and get a head start on spring with our Advanced Beekeeping and Beginning Beekeeping Workshops. We are conducting fall inspections and checking hive health now. 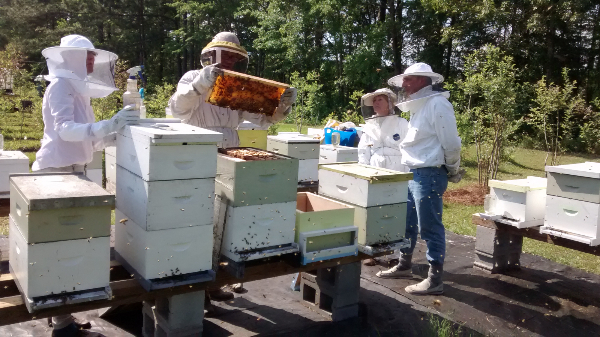 The beekeepers logbook for the Lowcountry can help you keep a look out for what to expect. Visit us at Charleston Farmers Market every Saturday, 8 am till 2 pm, in Marion Square through December or at the Mount Pleasant Farmers Market on Tuesdays from 3:30 till 7 pm at Moultrie Middle School. Sample honeys, our blueberry compote and blueberry-chipotle barbecue sauce, and try out our beeswax and honey farm-made skin solutions. Copyright © 2015 Blue Pearl Farms, All rights reserved.